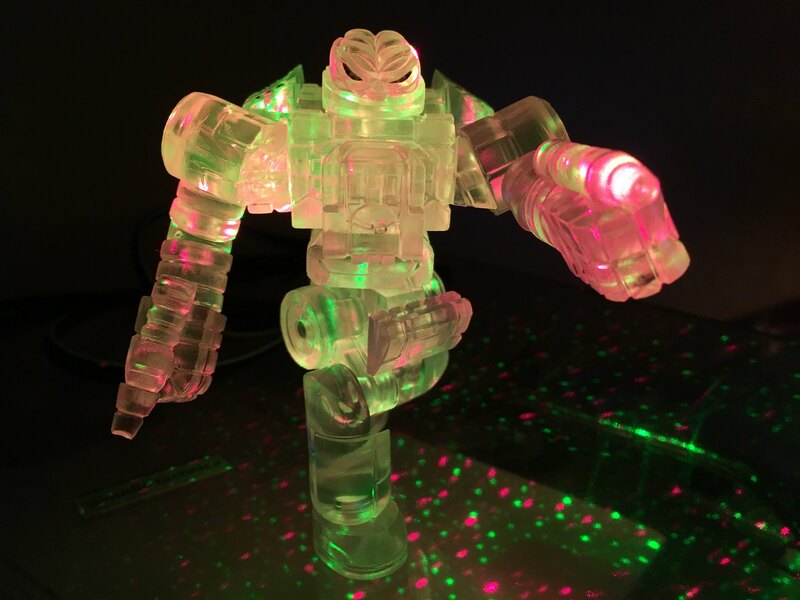 Here's a few pics of a couple builds I've done since the drop, special credits go out to the LED christmas light projector for doing some wild things to the clear PVC! Has he been working out? Toyetic wrote: Has he been working out? More like hitting the all-you-can-eat Mordle buffet. Debuting for sale at the show will be the long-demanded *HUN DRED- CLASSIC COLORS EDITION* as well as a few other surprises! What!?!? I just spent the money my wife will let me spend on toys on the Villser release.... I gotta think about this. I'm assuming there will be some on sale at Toyfinity's website after the con. Welp, there goes any money I had planned on saving for a local convention. Hopefully someone will be there and can take some pics of what is being offered at the table. At DCON last year Cappy took pics of the Club Zeton official build for Ding. I'm hoping for a few new things to join Hun-Dred. Toyetic wrote: Hopefully someone will be there and can take some pics of what is being offered at the table. 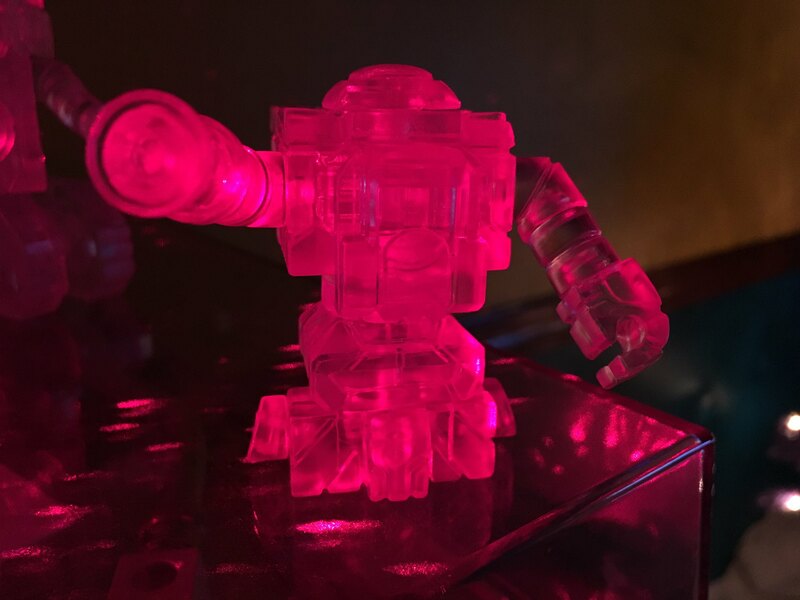 At DCON last year Cappy took pics of the Club Zeton official build for Ding. I'm hoping for a few new things to join Hun-Dred. WOW that Hun-Dres looks soooo good!!!! 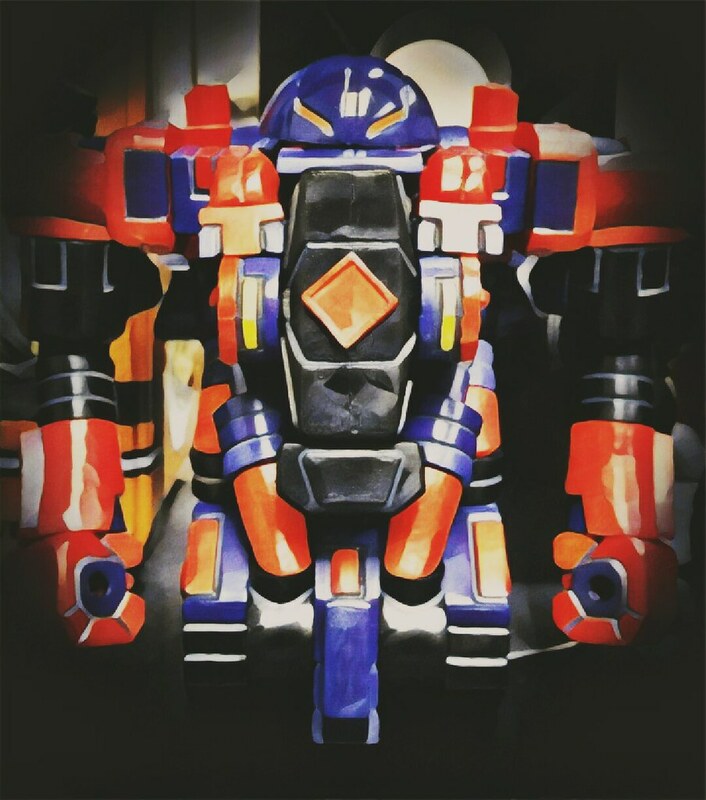 I'm really in love with the paint apps on the Zeroid and the Red Nazgar head, these rock!!! With the release of the Glyknight's production cape I think we are bound to see the Knight of Darkness soon!!! Wondering if John will reveal that figure this weekend, or if he's saving that for a later release? According to NJCC site, and Facebook new Mordles will also be debuting at Collector Con. Other than that, yeah all the things you all have listed (figures/colors in pic a few posts back) will all debut at Con to be released in online store at a later date. I'm just hoping everything makes it there cuz everything I've seen so far is gorgeous. A black w/ white accents Darkness soldier, more of the red Darkness Soldier would be great too. Thanks to everyone who posted info, pics! Check email for what? Is John giving first dibs on Hun-dred to the old club members? I hope there will still be some stock left afterwards. Acro Pheyden wrote: Check email for what? Is John giving first dibs on Hun-dred to the old club members? I hope there will still be some stock left afterwards. From my understanding, the current membership will last until there's a club renewal. Since that's the case we do get early access as one of the perks. I'm pretty sure Dr. K holds onto stock specifically for the day-of sale though. You never know, may see a renewal this year. He's apparently got some cool things planned for this year so we'll see. Until then you'd have to wait for a new club offering, in order to let new ones join the current one he'd have to have all the offered figures ready and my assumption is the order numbers for those were based on the initial sign-up. I could be totally off though, just my thinking. For non-Club members all I can say is expect to hear news of the public sale date very soon. Usually follows the club emails pretty quickly. I hope so cuz the stuff in the pics looked incredible. He'd posted something on his Twitter about Maxx Zero after the Con he was at, but nothing official on release yet. Thanks for the info, Venenor! I already got my shipping notice! John must have been flying through those boxes yesterday. New drop tonight. Finally more Star Team! Anyone else excited at all about this? In particular the bottom note about the "final official production of the Neo Sincroid head"
2. 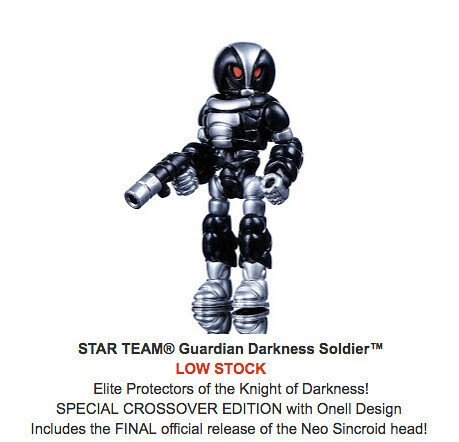 Wonder what the word "Official" means here, does that mean that there are a ton of Neo Sincroid heads floating around from the previous two Darkness soldier releases? 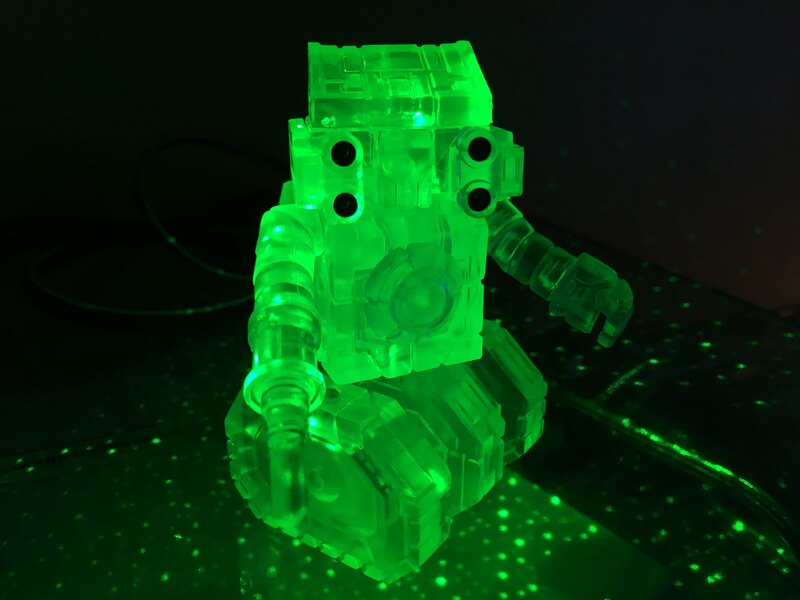 Does anyone know what molds contain the Neo Sincroid head? I know that the Traveler Scarf is on the same mold as the Axis Joints, wonder if that head is part of the Dark Traveler Belt and Scarf? + Dark Traveler Scarf 1? Good catch, I hope your right! I can always use extra scarves.